Courses taught in English and are offered online and in residence in Salamanca. Students have a wide array of options to design their own program, with a minimum study at Salamanca for two semesters and choices for distance online learning. Study/work-away programming also available. Profound transformations in international systems continue to impact different kinds of professionals who must understand and shape those changes. These global dynamics create new job markets, roles, and opportunities for those who have the skills needed to redirect their approaches to global change. These 2 year Master Programs provide the necessary knowledge base, skills, and abilities to successfully compete in these new job markets. After very intense three semester training, in the fourth you will write your MA thesis under the guidance of academics, practitioners, and internship supervisors. An emphasis on interdisciplinary training and research opportunities will distinguish you from other graduate students in other MA programs.  The University of Salamanca Maters degrees in Global and International Studies offer a unique breadth of knowledge across disciplines to include history, politics, hard science, information technology, economics, security, and culture. You will learn about the constantly changing identities and agendas of key institutional actors in the global systems (UN, World Bank, IDB, IMF, Asian Fund, OAS) as well as the emerging new patterns of conflict, collaboration, and technological developments affecting individuals, states, and non-governmental organizations. Apply yourself in a stimulating program with world-class faculty, cutting-edge coursework, and applied research and learning options. The program, which is taught completely in English, will help you gain real-world skills and professional contacts that are key to your professional success. Program rates and residential costs are among the most affordable for major European universities. Typical program length to completion is 18-24 months with options to design your own professional internship and other applied-learning and research opportunities! Optional Spanish courses will be offered to those who want to use their time in Spain to improve or learn the local language. Our partner, the center Cursos Internacionales will provide to those interested a broad range of Spanish language and culture courses.